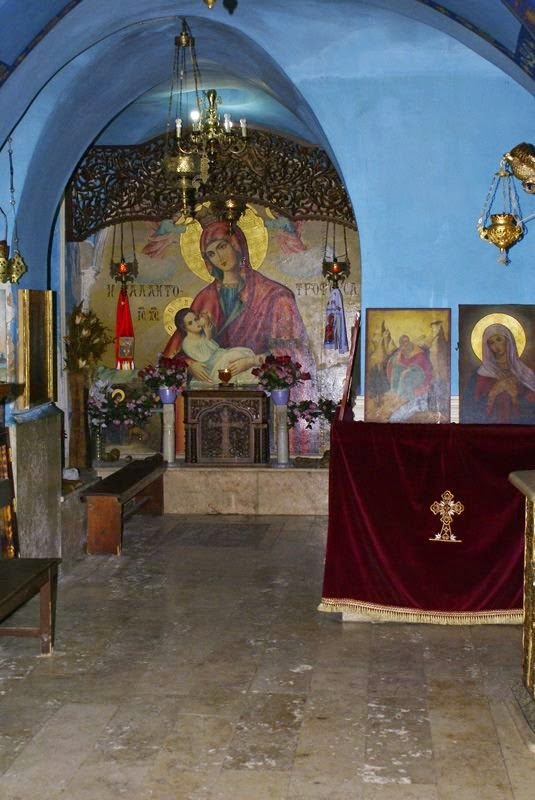 The Cave Chapel of the Flight Into Egypt below the Monastery of Saint Gerasimos near the Jordan River is the traditional location where the Theotokos, Saint Joseph the Betrothed and the infant Jesus stopped for a night on their way to Egypt, after an Angel of the Lord warned them to flee before the coming massacre of Herod. According to tradition, while the Joseph, Mary and Jesus stayed overnight in this cave, a thief warned other thieves to not bother them. This is because after the Theotokos bathed the infant Jesus, the wife of the thief washed her sick child with the same water, and immediately the child became well. 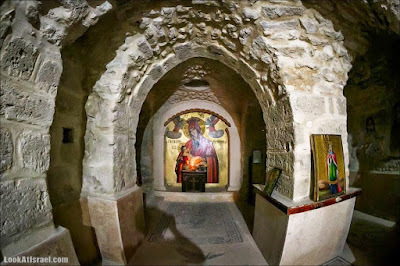 It is said that the child who was healed grew up to be the thief crucified next to Jesus who was first to enter Paradise. The name of this region was also known as Perdika. It received this name, which translates into "Partridge", in honor of the Virgin Mother, who locals said looked as beautiful as a partridge. 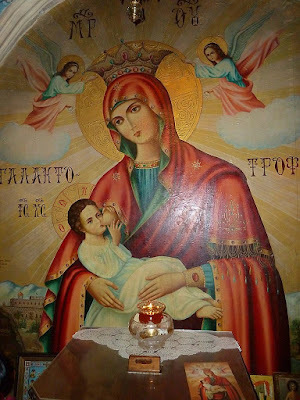 The central icon of the chapel is that of Panagia Galaktotrophousa, which translates as "Milk Feeder". The Monastery of Saint Gerasimos was founded in 455 by Saint Gerasimos of Jordan.